My first nineteen years of life were lived in five different rental houses on Forest Avenue. I have memories of four of these places - I was pretty young when we moved from the first house. My dad worked several jobs to make ends meet. We had a rich life in one of the poorer areas of the Island. These are the things I remember most. Playing stickball, kickball and touch football on Summerfield Place with so many friends. In my teen years we erected a basketball goal on one of the electric poles and shot baskets for hours on end. Hiking in the woods behind our houses was a great adventure. We built forts in the woods and found all sorts of fun things to do by the streams. Friends like Tommy, Nick, Albert and Johnny were everything to me. I took a city bus to school using a bus pass. All kids went to school that way. When the weather was nice I could walk home from school as it was less than a mile away and was also on Forest Avenue. PS22, my elementary school was pretty old even then. Today it's renowned music program is all over Youtube. Went to Junior High in a brand new building. Spent hours there shooting hoops in the playground. The five mile ride on the Staten Island Ferry across New York Harbor. Growing up, I rode it to high school and to different jobs in lower Manhattan. Lady Liberty still holds a warm place in my heart and mind. Our extended family. Such an important part of living on Staten Island for us. We spent a lot of time with my Aunt Blanche, Uncle Charlie and cousins Charlie, Eddie and Blanche. Then there were times with Aunt Elsie, Uncle George and all of my other cousins. These all made my life rich with love and a sense of belonging. My Dad, Mom and Grandma. Hard to briefly describe the impact these had on me. I always felt accepted. Always felt appreciated. These emblazoned love in my heart like nothing else ever could. 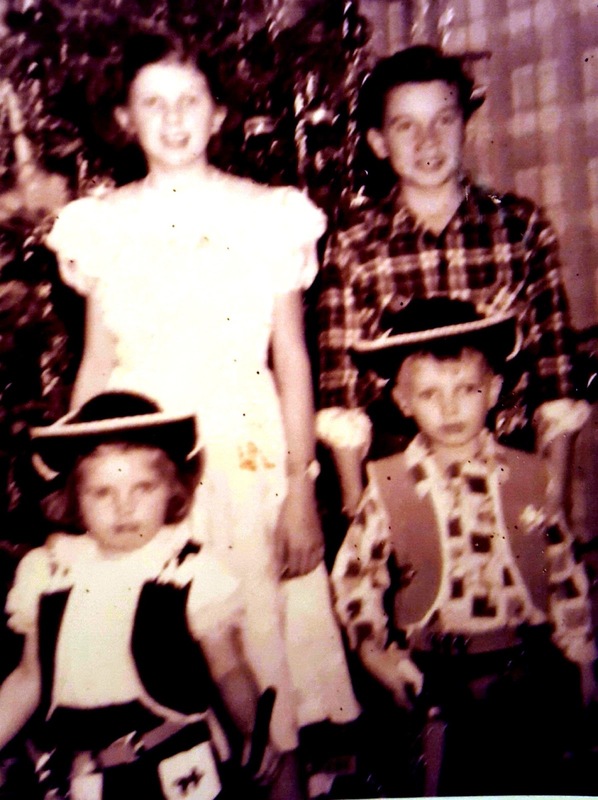 Lastly my siblings Bill (8 years older), Eydie (7 years older) and Nancy (1 year younger). Sharing a room with Bill. All of us eating and playing games together. Celebrating birthdays. Watching the Twilight Zone with Nancy. Playing catch with Bill. Making pizza muffins with Eydie. Our parents provided such a rich family environment for us. My brother Bill and sister Eydie both died when they were 70. I really miss them. I get choked up remembering these times so many years ago. I am so thankful to have grown up surrounded by so much friendship, love and acceptance. My parents may have passed on but their love remains in me to this day. ... a place that I have been to ... part of the A to Z series. I haven't been commenting, but have been enjoying the posts, Bob.